Here is a summary of our marathon of the Battles of the American Revolution series. Mike L. and I played each full battle scenario without any optionals when offered. We often switched sides based on preference, so this list does not reflect personal wins but simply which side was the victor. One of the odd artifacts of the series rulebook is that every game can be won by reducing the enemy morale to zero, typically through success in combat, which immediately gives the victor a "substantial" victory. To attain a "decisive" victory each individual game provides some specific condition such as to occupy certain hexes at game end. If one succeeds in the field during the game, you may end up denying yourself the "decisive" victory accolade. It's hard to believe it's been seven years since one of the most remarkable nights I have ever experienced. 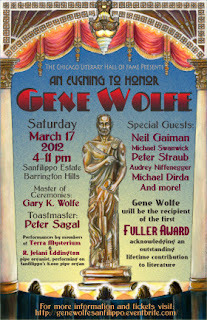 On March 17, 2012, the Chicago Literary Hall of Fame awarded its first Fuller Award to Gene Wolfe for outstanding contributions to literature from a Chicago author. For those of you unfamiliar with his work, Gene is considered one of the masters of the science fiction/fantasy genre having influenced and mentored a generation of aspiring authors, most notably Neil Gaiman. I have been a devoted fan of Gene's since high school in the 80's when his masterpiece four volume The Book of the New Sun was recently published. Gene's works are rich with language, insight and wonder; he is able to connect vast cultural touchstones from ancient philosophy to modern space flight much in the spirit of Umberto Eco and Luis Jorge Borges. He is best known for his use of unreliable narrators, obscure vocabulary and hidden symbolism, requiring some effort on the part of the reader to reach understanding. These hallmarks of his style are all part of Gene's demonstration of the dynamic power of literature and the way words shape our understanding of the world. Of interest to readers of this blog is the fact that Gene was a combat veteran of the Korean War, having served with the US 7th Infantry Division at the Battle of Pork Chop Hill. His works reflect many of his experiences and observations from the ordeal of army life and war. When I moved to Chicago in the mid-2000's I was fortunate enough to strike up a friendship with Gene at one of his local convention appearances. Gene is an amazing personality as well as a writer. Those few times I was able to share with him will remain with me forever. 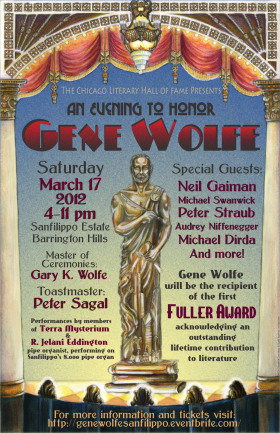 Through a series of incredible coincidences, my wife's career in Chicago media had her promoting the upcoming Fuller Award for Gene Wolfe, so we were invited to attend the event due to both professional and personal relationships. The setting of the award ceremony was at the Sanfilippo Estate, the family home of Chicago's own nut barons who operate the Fisher Nut empire. The Sanfilippo Foundation opens the estate to notable events in the Chicago area in a venue that showcases their amazing collection of eclectic items ranging from vintage carousels to steam engines, circus art to antique electronic fortune tellers: a melange that could best be described as a steampunk-fairy-carnival. This was the perfect setting for an unforgettable night of music, stage-plays, readings and speeches from SF notables. 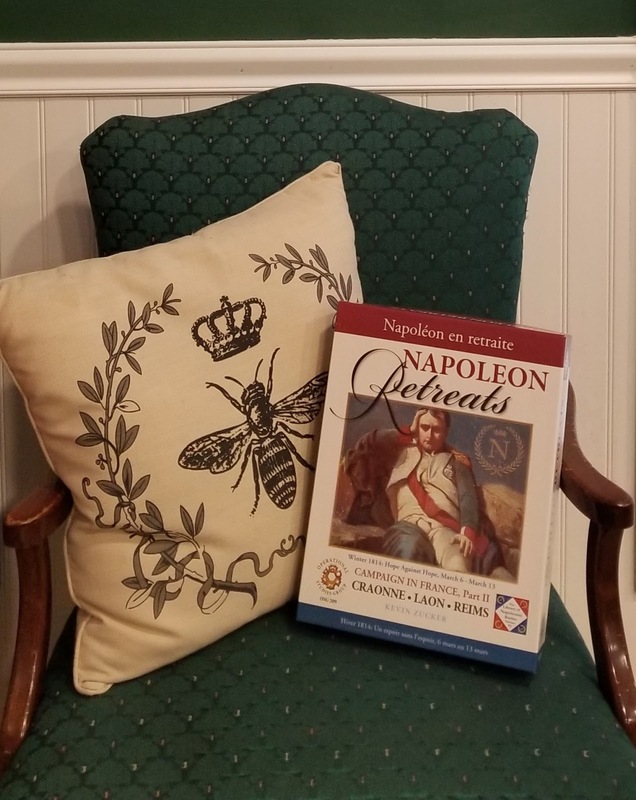 The event was an intimate affair, perhaps a hundred guests, almost all of whom were people with a much stronger connection to Gene than I, ranging from his personal family to fellow writers and accomplished authors. I like to think of my symbolic identity there that ethereal evening as the average fan silently acknowledging the profound influence that the great authors such as Gene Wolfe have upon our lives. History: The Union artillery played a vital role in the repulse of the Confederate attack known as Pickett's Charge on the third day of the battle of Gettysburg, July 3, 1863. Battery A, 4th U.S. 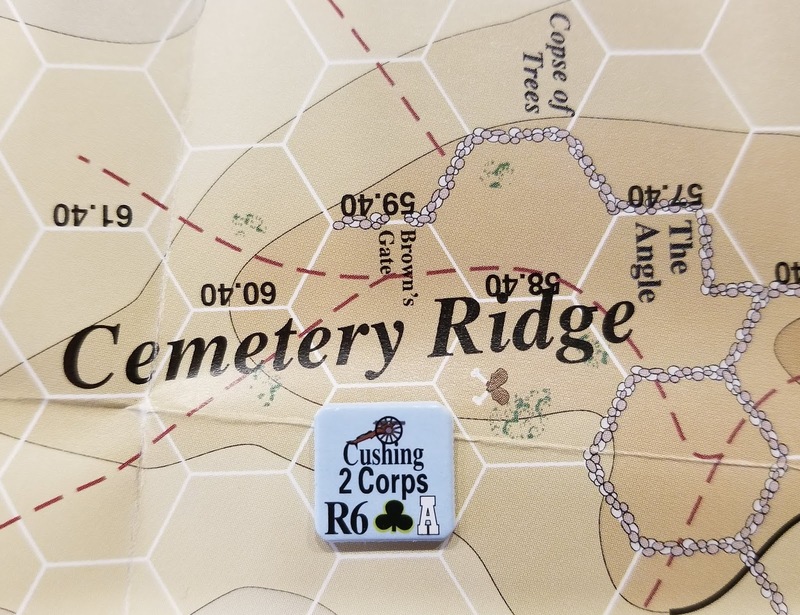 Artillery, commanded by 22 year old Alonzo Cushing, took up position along Cemetery Ridge in the area that would come to be known as "The Angle." Cushing's guns supported infantry from the 71st and 69th Pennsylvania regiments behind a low stone wall. This location would be the only position the Southern attack would reach that day, culminating in fierce hand-to-hand fighting. Though severely wounded several times, Cushing remained with his guns, pouring fire into the advancing Virginians. Cushing's heroic stand finally came to an end when he was mortally shot in the head. Due to his and many other Union soldier's sacrifices that day, the Confederate charge was broken and R.E. Lee's invasion of the North was finished. Heroic exploits were not uncommon in the Cushing family of Delafield, Wisconsin. Both of Alonzo's brothers served with distinction during the Civil War. Brother William Cushing served in the Navy and is best known for a daring night commando raid that sank the Confederate ironclad Albemarle. Howard, the oldest of the brothers, also served in the artillery and fought the Apaches in the post war period, meeting an untimely fate in the West which earned him the unfortunate title "The Custer of Arizona." Battery A Position looking west toward the Confederate attack. In the foreground is the marker noting where Cushing fell. Note: This is a repost of an article originally published on August 26, 2014. It was on that date that President Obama announced Alonzo Cushing would finally receive the Congressional Medal of Honor, 151 years after the battle. 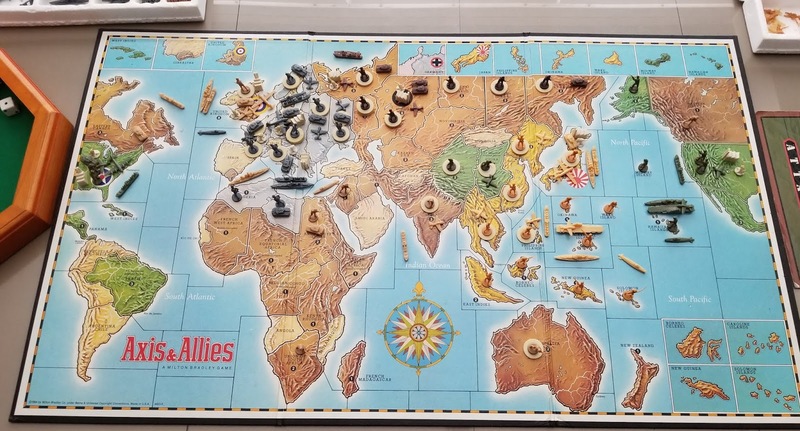 I recently introduced the original Milton Bradley Axis & Allies to a group of experienced gamers who had never encountered this classic boardgame. After a quick game the discussion turned toward the reputation of the classic version as a largely "unbalanced" scenario. The design of Axis & Allies attempts to simulate an understanding of World War II as a situation where the Axis powers (Germany and Japan) start out with an abundance of forces that must overwhelm the Allies (UK, USSR and USA). The Allies begin with a smaller amount of units on the board but have a larger economic potential to slowly build up and defeat the Axis. Victory for the Axis largely depends on an aggressive and lucky Germany defeating the Russians before they can build up massive infantry forces that eventually wear down the Axis advance. The luck factor here requiring the player to roll low with a "buckets of dice" approach to combat that gave rise to an entire classification of boardgame: Ameritrash. 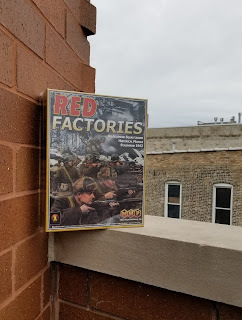 While I mostly agree that by modern standards the game has inherent flaws, I could not help but ruminate on how fundamental this game was to my development as a historical boardgamer. Axis & Allies was the first game where I finally found a group of players. My pre-teen efforts had been a solitaire effort with an assortment of the vintage Avalon Hill titles. 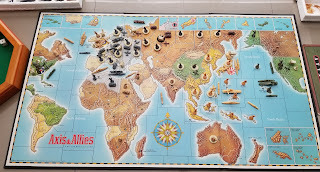 However, meeting willing and like-minded gamers in high school really opened up the arena, and the 1984 release of Axis & Allies dominated those years. We devoured the game whole: constant replays turned to house rules turned to experiments with alternate setups, unit values and production. We created new nations, alien invaders, and expansive technological development trees. 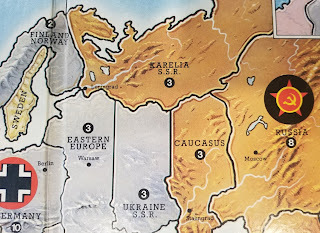 We developed names for our strategies such as "The Karelian Gambit" or the "Manchurian Candidate." We plotted and we analyzed. In short we discovered the power of the wargame sandbox. It was a tool that could be manipulated to explore history through the potential of myriad permutations. It was from these experiences that I was forever hooked on historical gaming and it shaped my particular love for operational and strategic simulations. The other appeal of classic Axis & Allies may in fact be that it provides a playable "unbalanced" scenario. 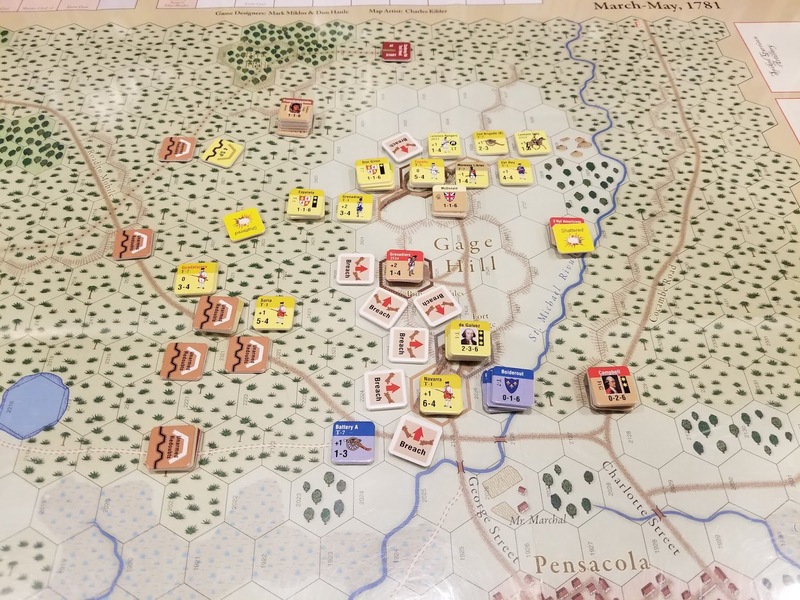 Historical gamers enjoy recreating events where one side is outnumbered, on the defense or has to exploit a momentary advantage before an inevitable outcome. The historical gamer may not always be looking to "win" so much as measure his performance to the historical outcome or hope to gain a better understanding of why certain decisions succeeded or failed. 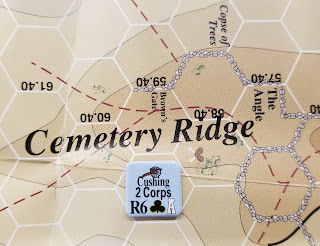 Any player who is challenged by the underdog position of the Axis and seeks to try again or do better next time is certainly a candidate for the larger world of wargaming. In that respect I think that Axis & Allies still serves as an excellent introduction to the world of historical gaming. 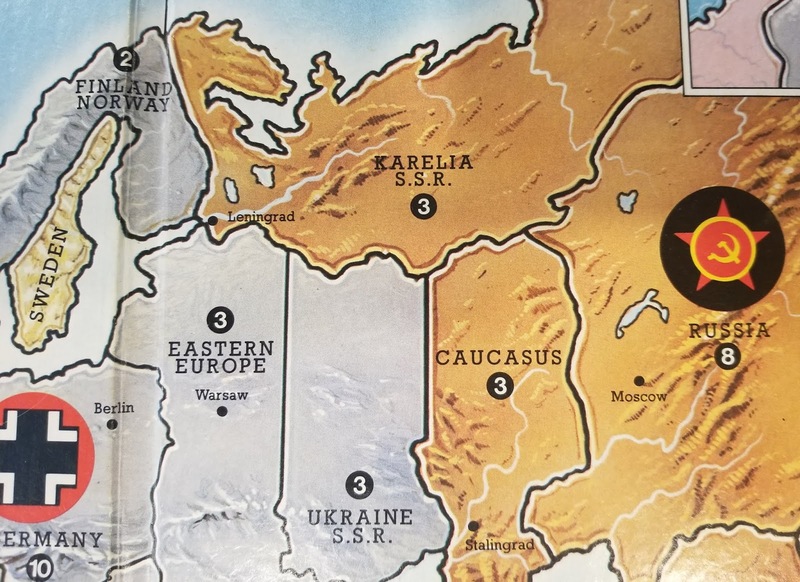 I am aware of all the newer editions of Axis & Allies that are reported to fix many of the original game's weaknesses, I have never played any of them, but I would hope that they have not erased the level of "imbalance" inherent to the historical situation and the lessons and challenges it provides. Axis & Allies and World In Flames.....pretty much the same game, right? 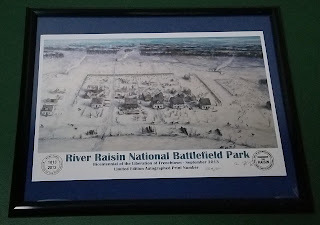 "Remember the River Raisin" is the battle cry we remember today on the 206th anniversary of the 2nd Battle of Frenchtown or River Raisin. 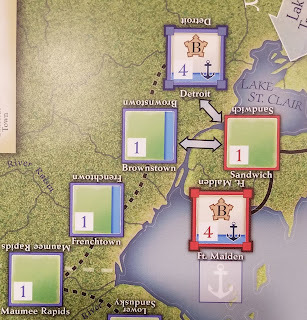 This battle from the second year of the War of 1812 is located in Monroe, Michigan, near the banks of Lake Erie between Detroit and Toledo, Ohio. 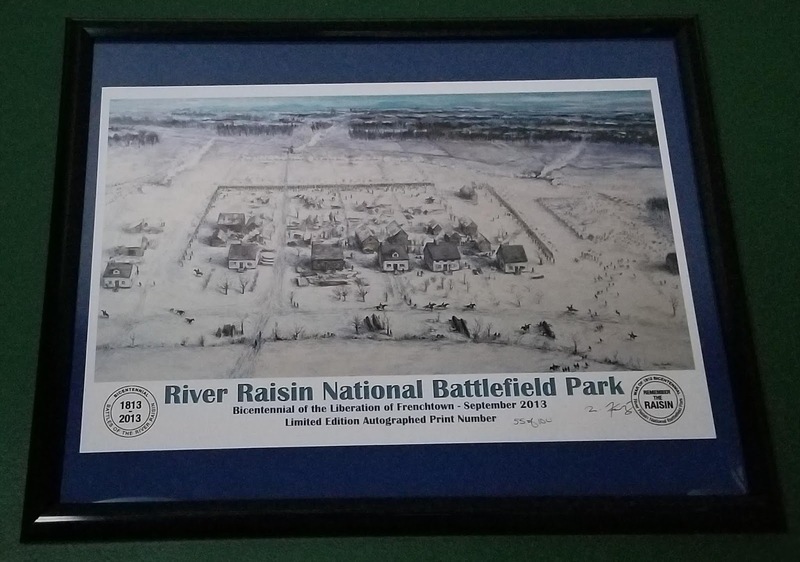 The River Raisin National Battlefield Park has the distinction of being the only land battle found in the Northwest Territory to receive this recognition, with that honor only established as recently as 2010. The nearest battlefields of equal import are all administered by state park systems or in Canada, including Fort Mackinac in Michigan, Tippecanoe in Indiana and Moraviantown in Ontario. The 2nd Battle of Frenchtown was the final action in a series of skirmishes taking place from January 18-23, 1813. Detroit had surrendered to the British and William Henry Harrison launched a winter campaign to retake that strategic location. 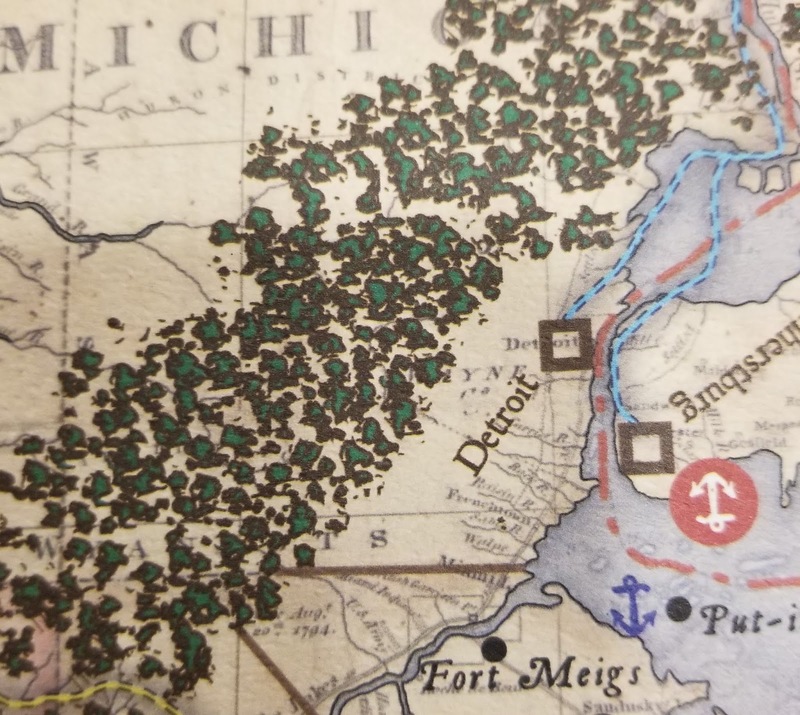 Moving from Ohio toward Detroit, an advance American force had pushed into Frenchtown on the 18th in what is considered the First Battle the River Raisin. 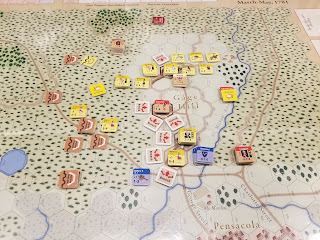 On the 22nd the British, Canadian, and Native American combined forces counter-attacked the poorly prepared and inexperienced United States defenders. This surprise morning attack took the Americans under fire from three sides and they were soon routed. Despite a heroic and disciplined stand by the Kentucky Rife units on the American side, all forces were persuaded to surrender. The prisoners were marched off to Canada, but the wounded were largely left behind. On January 23, the Native Americans raided Frenchtown, killing the wounded and setting fire to many of the buildings in what would be know as the River Raisin Massacre. This incident shocked a young nation and the headlines screamed "Remember the River Raisin!" This rallying cry outraged public opinion and fueled enlistment drives for the American militia, setting a precedent for future U.S. public responses to similar military events such as "Remember the Maine!" from the Spanish-American War or "Avenge Pearl Harbor!" from World War II. As one of American's "forgotten wars" the War of 1812 and the Battle of Frenchtown are likewise largely overlooked in the historical boardgaming community. 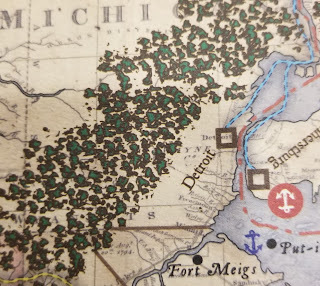 The 200th anniversary did see the publication of two games that encompass the events at the River Raisin, albeit at a strategic scale. Clash of Arms Games "Amateurs To Arms!" is a card driven game that examines the entire war at a grand strategic level. GMT's "Mr. Madison's War," also a card driven design, focuses on the operations conducted along the Great Lakes. Michigan Territory - Amateurs To Arms!